Don’t know about you, but I’ve recently realised that I seriously need to up my game when it comes to waste. I have long supported sustainable, organic, independent and local. I’ve recycled, reused, composted and upcycled with the best of them. So… if I’m totally honest I think I became a little complacent. Feeling that I was doing my bit. But it hit me last week that I’m really not. Not when the crisis we’re facing as a planet is as grave as it is. Watch the whole, immersive film here and be prepared for it to change how you view waste forever. Like many of us, I was also shaken by David Attenborough’s Blue Planet II and last week’s Drowning in Plastic on BBC 1 presented by wildlife biologist Liz Bonnin. Both full of shocking evidence of the ways in which we are choking our oceans. I was horrified to learn that the world’s biggest rivers have been turned into huge plastic arteries transporting 50% of all the plastic that arrives in the ocean. Fishermen in Indonesia forced to sell plastic instead of fish to make a living because 60% of the fish species have died due to plastic pollution. It’s heartbreaking what we’re allowing to happen to our beautiful planet and to the wildlife we share it with. A Guardian investigation established that consumers around the world buy a million plastic bottles a minute. A million plastic bottles. A minute! Plastic production is set to double in the next 20 years and quadruple by 2050. Around the world, more than 8m tonnes of plastic leaks into the oceans. 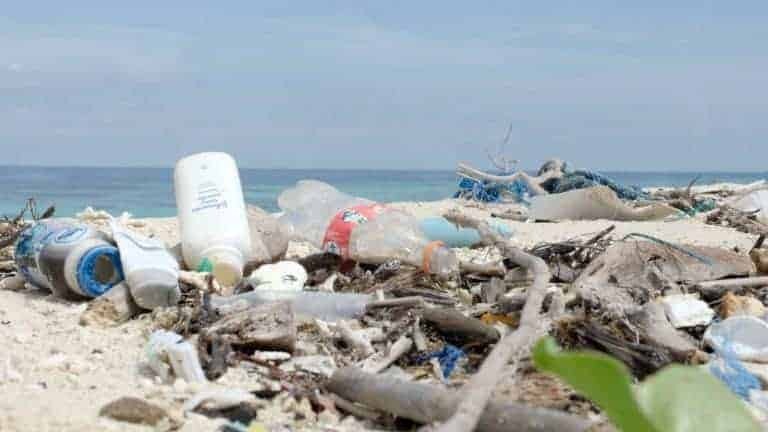 When you consider that every single bit of waste and piece of plastic that we chuck away can cause real, horrifying harm, the crisis we face can feel overwhelming. How to make a difference as an individual, when the problem’s so huge and the solutions so complex? First thing to do, I decided, should be to look again at what we’re doing as a family and identify where we could do better. I’m now on a mission to cut down on our own waste as much as possible, whilst thinking about ways to help bring about change on a wider level. With two teenage children and a hectic home/work life, I’ve definitely been guilty of using time pressures as an excuse for some of our less-than-ideal choices. 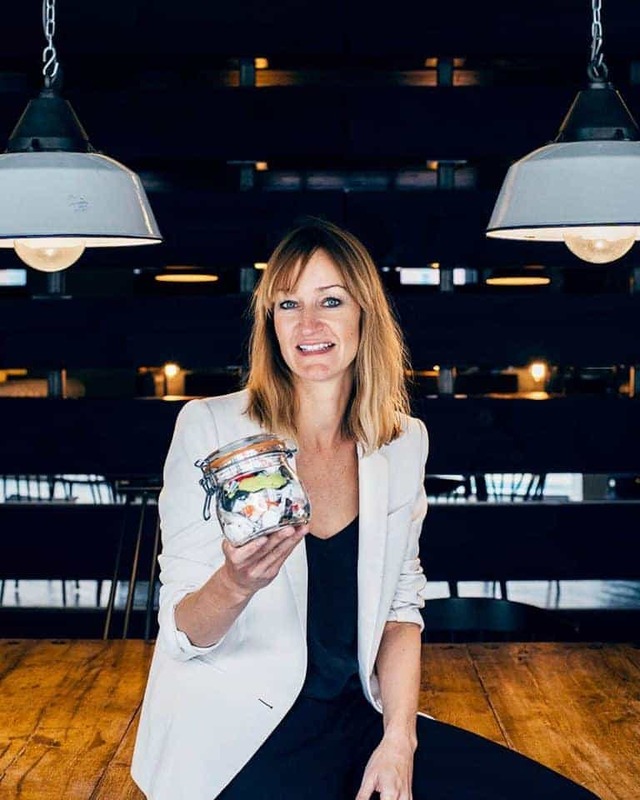 But when you look at this single pint-sized jar of waste produced by Bea Johnson (founder of Zero Waste Home) and her family in a WHOLE YEAR it’s clear that we could be doing so much better. If I’m honest, my family probably sends more to landfill each day right now than this. It’s quite a leap to get from where we are to this, so I’m not going to set myself unrealistic targets, because that’s just a recipe for failure. But I am going to plan better, keep looking for better choices and make changes one at a time. With this in mind, I’ve been researching ideas for cutting down waste so I thought I’d share some of them with you as I go. I’d love you to share your ideas with me too by leaving a comment at the end of this post. Trying to reduce plastic waste can be particularly challenging in the bathroom so I decided to start here. When it comes to hygiene and beauty products, plastic packaging is often hard to avoid. How possible, I wondered, is it to go plastic free and zero waste in the smallest room of the house? I’ve decided to give shampoo bars a try, as there is so little waste with them and I’ve heard good things. I spent a bit of time looking to see what’s out there and these are the ones that appealed to me most. 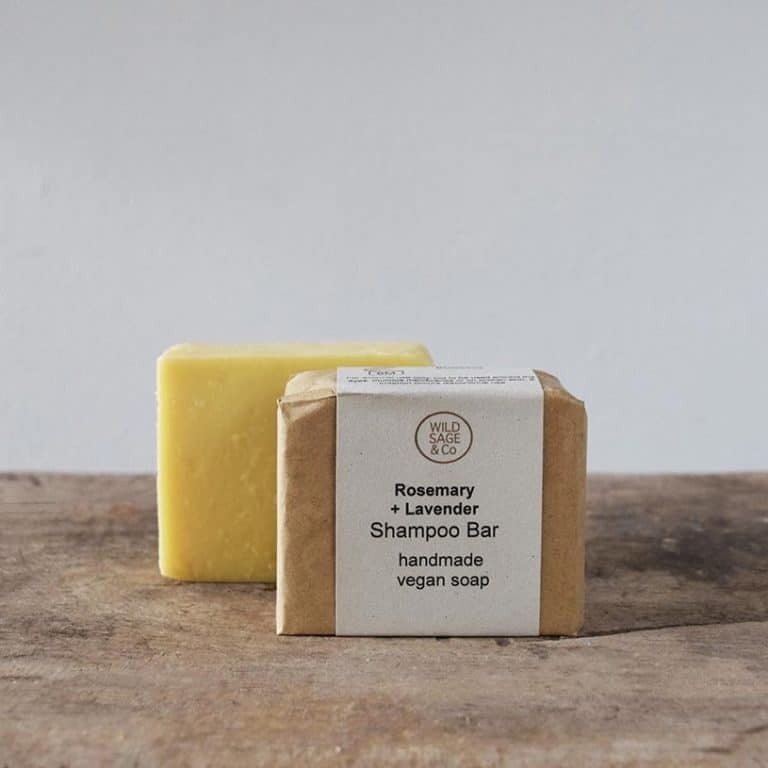 This vegan handmade shampoo bar by Wild Sage & Co from Lewes Map Store looks right up my street too. How cute is the packaging of this Printed Peanut’s Tea Tree Shampoo Soap Bar from The Future Kept? 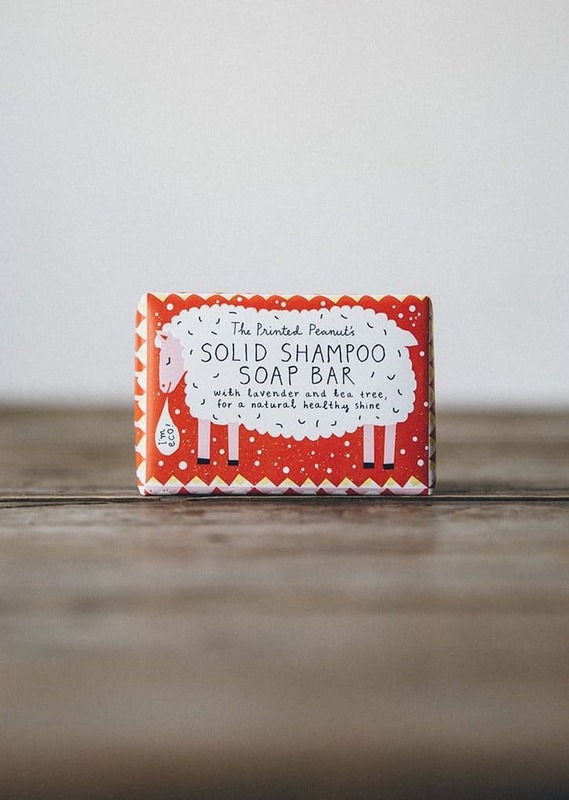 Handmade in Yorkshire and wrapped in 100% recycled paper, each bar is the equivalent to the contents of three plastic bottles. Other shampoo bars worth checking out are this coconut one by The Natural Soap Company and these by The Funky Soap Shop (who also offer a refill service for liquid shampoo in returnable aluminium bottles). I already love to use handmade soaps in the bath and shower and store them in this vintage Sanatogen vitamins glass jar with metal lid that I picked up at a car boot sale. I’m a lover of old jars. 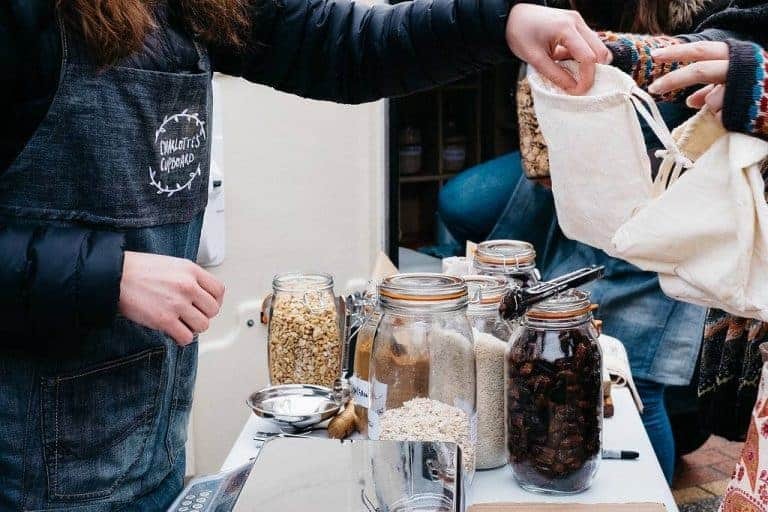 It’s a bit of an obsession to be honest, but a handy one when it comes to plastic free and zero waste living! 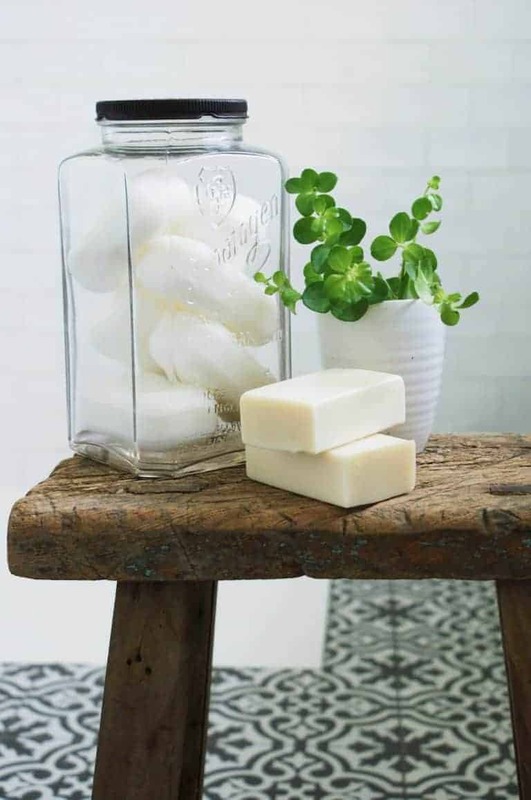 I use them for all manner of storage, including loose soaps in the bathroom.The stool is made from reclaimed old wood and I love the character and age of it. 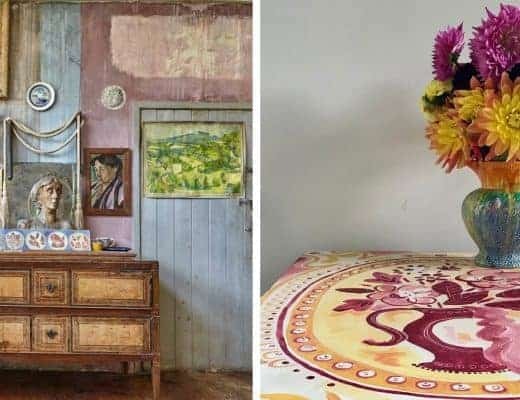 There’s a joy to mixing modern with old, re-purposed finds isn’t there? 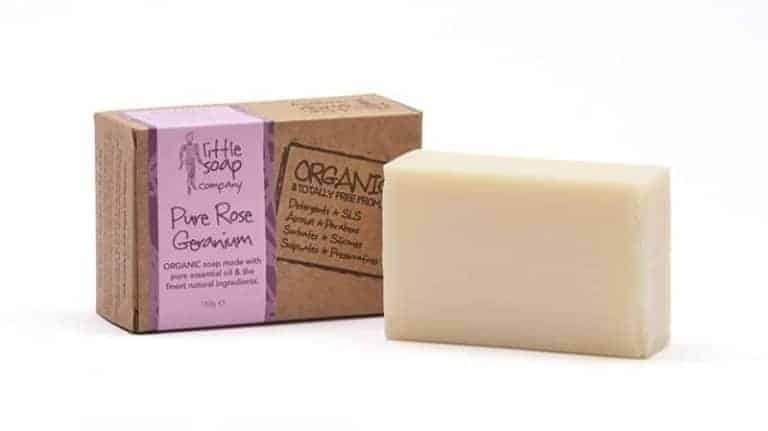 My go-to hand and bath soap is made by Emma and the lovely folk at Little Soap Company – particularly love their heavenly Pure Rose Geranium organic soap. 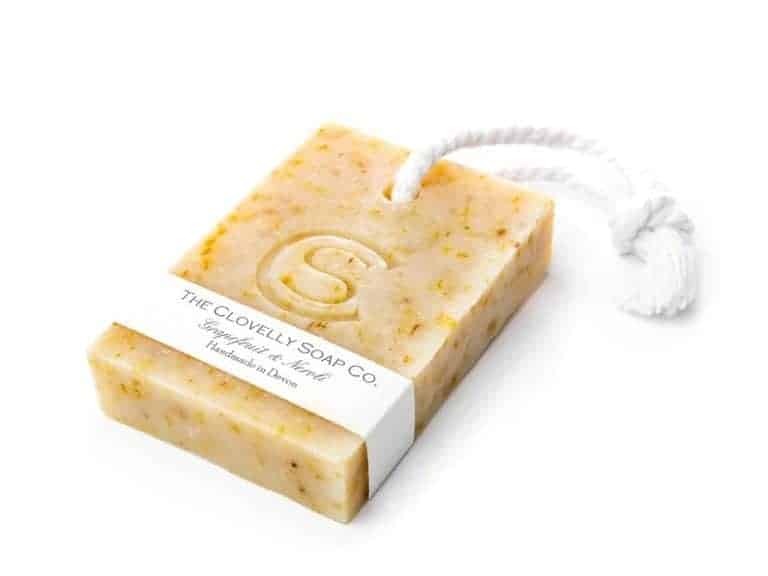 I’ve just spotted that they have sourced a non-plastic, biodegradable and compostable soap box too, great for taking your own soap with you when you travel. I’ve been buying a few soaps at a time, but actually it makes a lot more sense to buy them in larger quantities. Little Soap Company offers free delivery on orders over £50 and a free soap of your choice on orders over £30. 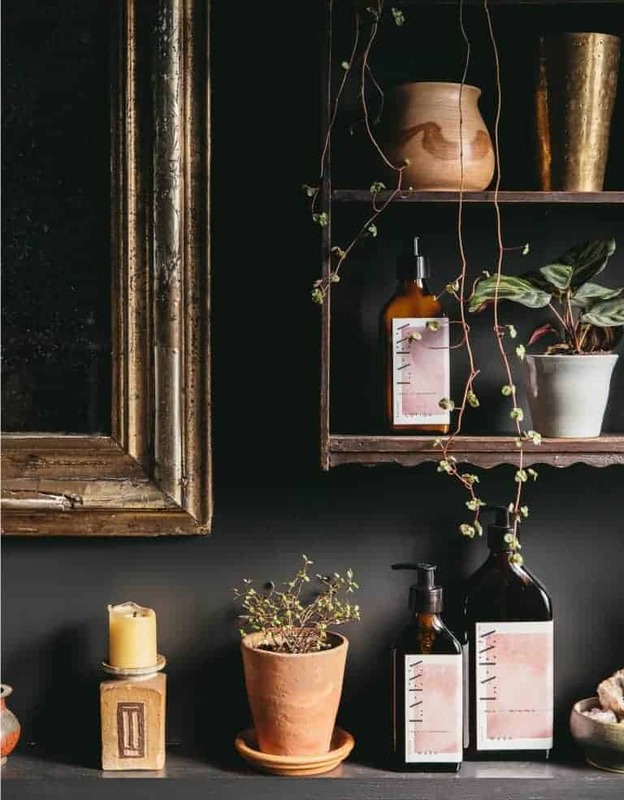 So, when my current soap supplies run out, I’m going to order enough to qualify for both (a dozen bars of soaps or more) and fill up my jars with natural, fragrant loveliness. I might also have a go at making my own soap on a rope – by using an apple corer to make a hole and threading through with rope. How hard can it be…? I’ll post an image if it turns out well! 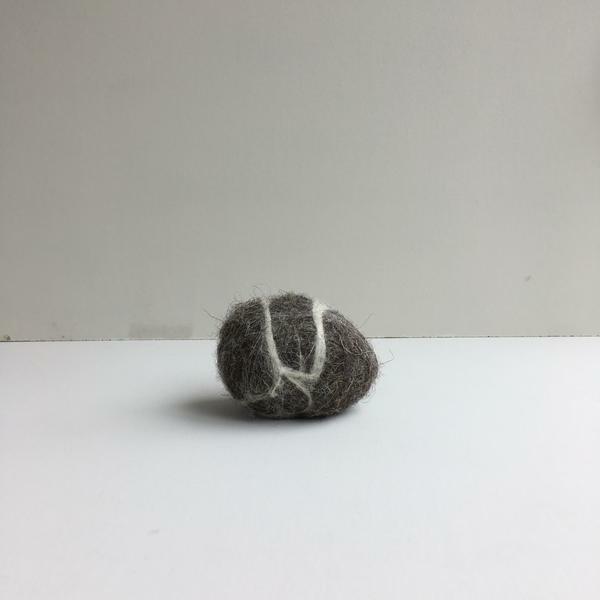 I keep hearing about soap pebbles – apparently they are great for making soap last longer and getting use out of every last bit, so I am thinking I’ll give these Natural Wool Soap Pebbles from Aerende a go. They are hand-crafted in the Lake District using wool from Herdwick sheep and natural bergamot and mint soap. Naturally exfoliating for your skin too, so definitely worth a try. 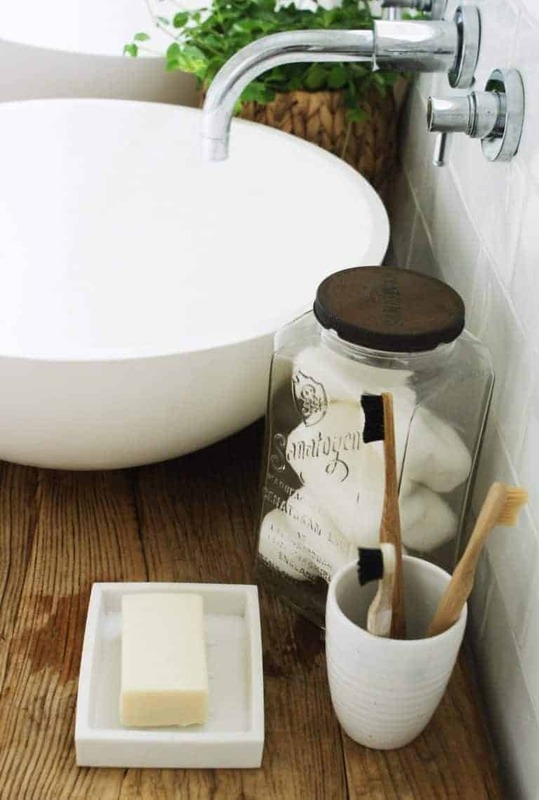 Another idea is to make your own soap from scratch – just how you like it. 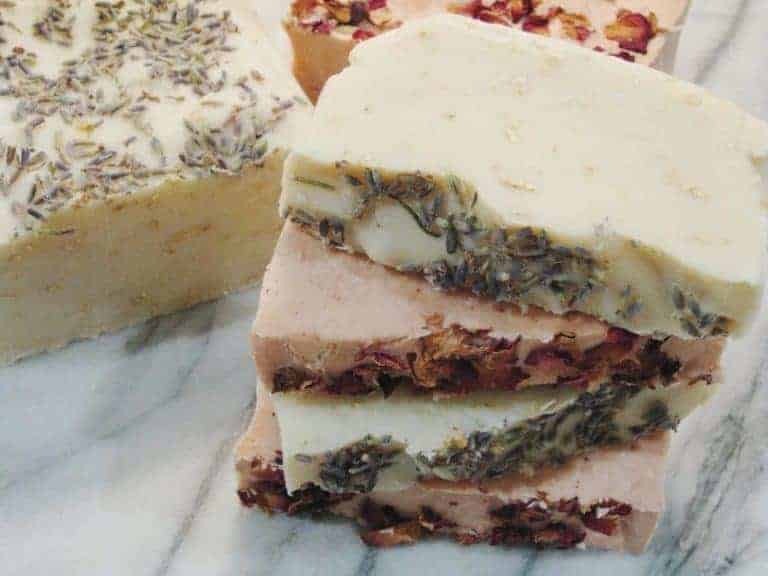 The Clovelly Soap Company offers a fab one-day introduction to soap making course and the Little Soap company also offers soap-making courses. Read our blog post about the wonderful day we spent learning how to make natural soap. I am also going to re-use some of the plastic bottles I already have by refilling them when they’re empty. I’m thinking I could order bulk 5 litre quantities of shampoo, conditioner, body wash etc and decant into my existing bottles to cut down on waste. They are nice Aesop ones, so I’d be very happy to do that, as it does mean they get re-used before being recycled. They’ll be re-filled with a different product, but that won’t bother me, so I reckon they could last for ages like this. The downside is that it will mean buying large (albeit recyclable) plastic containers – but I’m going to look into refilling these again once they’re empty. Neal’s Yard is another natural beauty brand that promises to use 100% recyclable plastic in its packaging and they do sell their shampoos and conditioners in larger 1 litre sizes which hold 5 times more than the 200ml bottles but use just under twice the amount of plastic. The plastic itself is post consumer recycled (PCR). Also, if you return their glass or plastic blue bottles to a store for recycling, you get 10p off your next purchase for every glass bottle brought back. 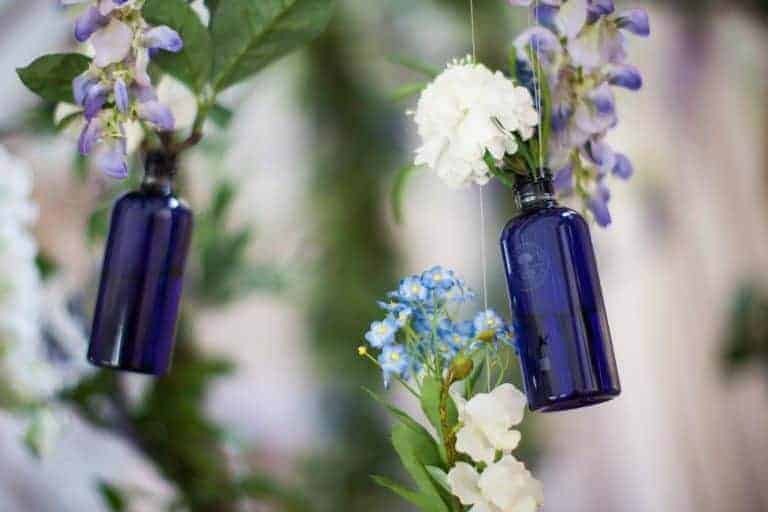 The blue glass bottles are really pretty and perfect for re-using or creative upcycling. Otherwise the blue glass can be recycled with brown glass bottles at your usual recycling facility and the plastic bottles are easily recycled. Neal’s Yard say they are working on being able to offer a refill service, but don’t at the moment. Their bigger size shampoo is only 1 litre, so although an improvement, I think I’d rather go larger and re-fillable. It’s also very expensive at just under £40 a litre. So, what I’m probably going to do is try shampoo bars and maybe the Faith in Nature shampoo and conditioner in 5 litre bottles, which I’ll then find a way to keep refilling when empty. I’d love to hear about other lovely natural shampoo, conditioner and body wash you can buy in bulk. Do let me know your favourites in the comments at the bottom of this post! 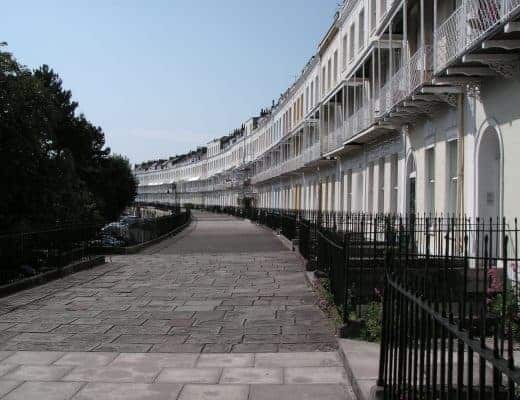 Refill and replenish services are popping up all the time, and many offer eco household cleaners, liquid shampoo and body washes, so the empty 5 litre containers could actually be useful for this. 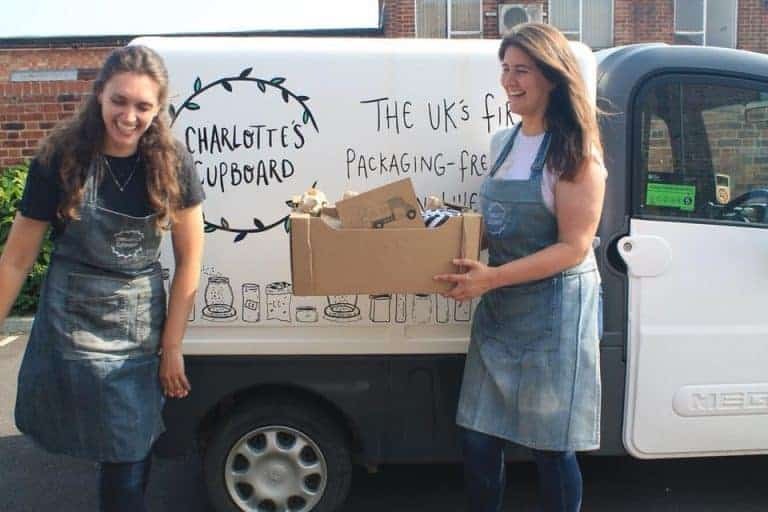 Charlotte’s Cupboard offers a door to door delivery service as well as fixed stops around Sussex. I’ll be chatting to them over on the blog soon, so watch this space. Here they are adding their own words to a rap song… and trying not to make each other laugh. You’ve got to love these girls! In case you don’t already know, microbeads are solid plastic particles so small that they are unable to be filtered by our sewage systems, but they cause devastating pollution to our oceans. Most commonly they are found in toothpastes, face wash, abrasive cleaners and more. Find out more about them here. To find out if products you currently use contain microbeads you can use this helpful app. 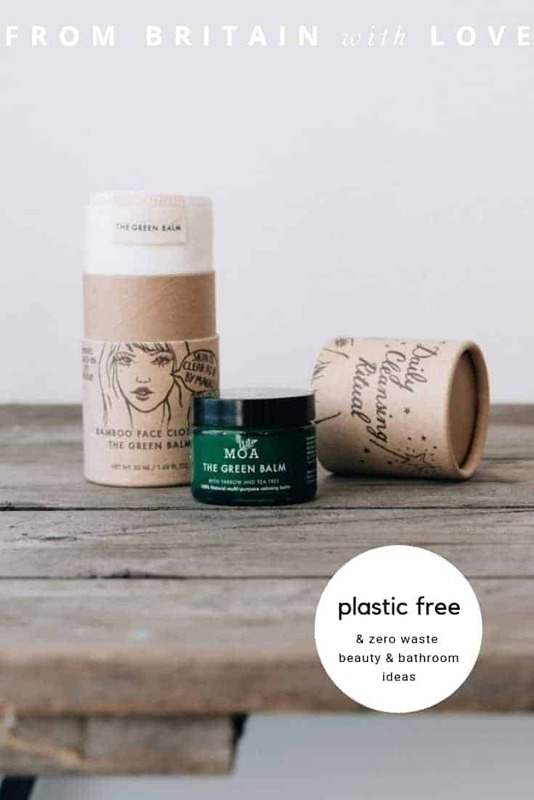 Better than just making sure my beauty products are microbead free, I’m opting for simple, natural beauty products that are as good for you as they are the environment. Ideally ones that multi task so I’ll need fewer products. I loved MOA green balm cleansing ritual when I first discovered it a few years ago, so I’m going to order more. And because you use with a washable eco-friendly bamboo cloth, there’s no need for cotton wool or wipes. The magic ingredients are yarrow and tea tree. I love how versatile this natural balm is. Suitable for all skin types from oily teenage to mature and dry, use to effectively remove make-up, soothe and soften as well as to heal and repair skin irritations, bites, stings and even eczema. The packaging is recycled card and the pot glass with recyclable lid. 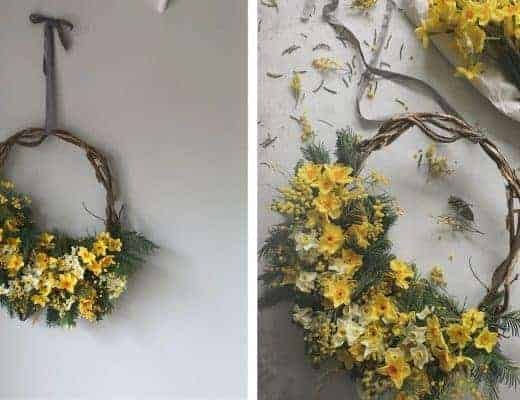 It’s definitely pretty enough to reuse though. 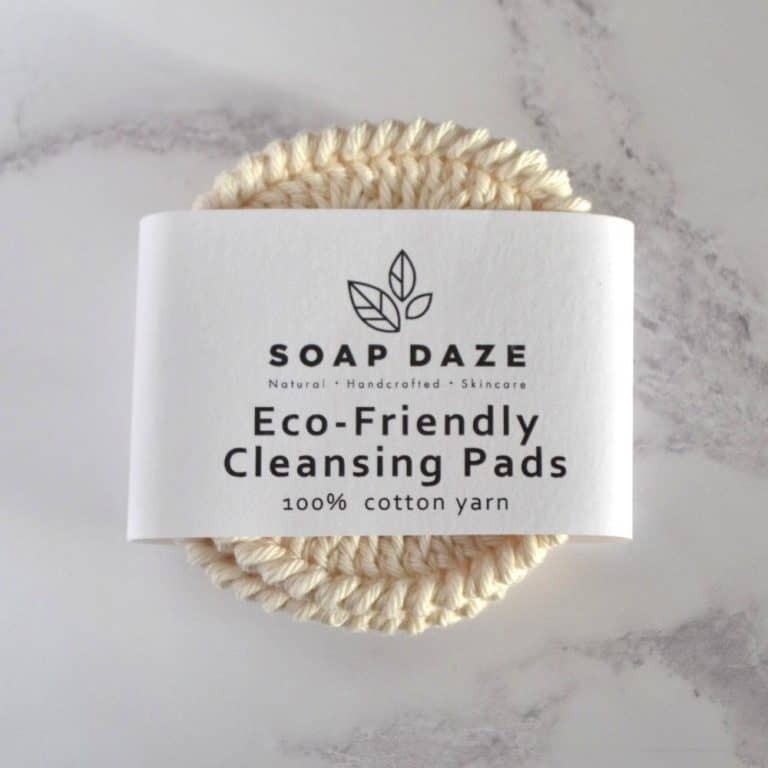 Another great alternative to cotton pads or wipes are reusable cleansing pads by Soap Daze from Wearth London. Hand crocheted in Devon and a zero waste alternative. If you’re nifty with a crochet hook – probably really easy to make your own? 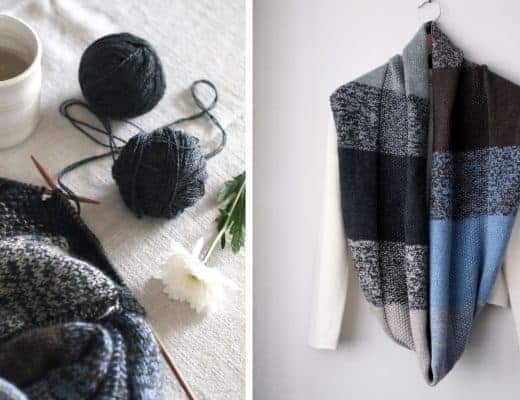 Part of me thinks this is the sort of slow, simple craft that could be relaxing… But if I’m honest I can’t see myself ever finding the time to sit down and crochet a cleansing pad. Life’s too short, surely? I am going to have a go at making more of my own beauty products though. 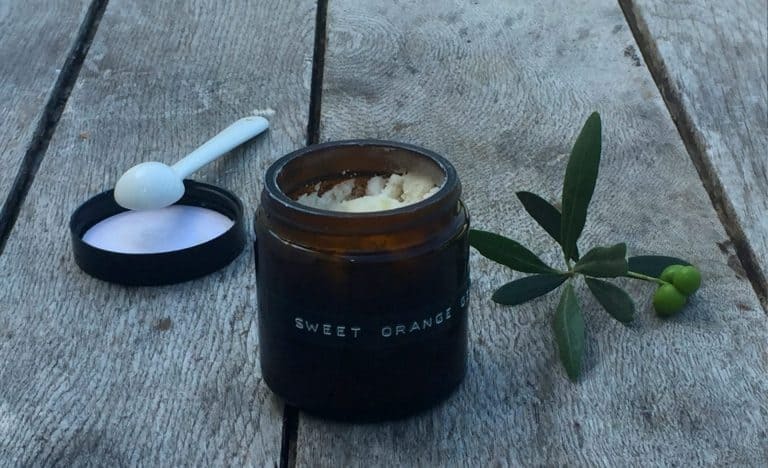 I did love making this shea butter aromatherapy body moisturiser – find out how here (an empty Green Balm pot would be perfect for this). Adding essential oils to pure carrier oils such as almond or sunflower also makes a wonderful natural homemade massage or body oil. 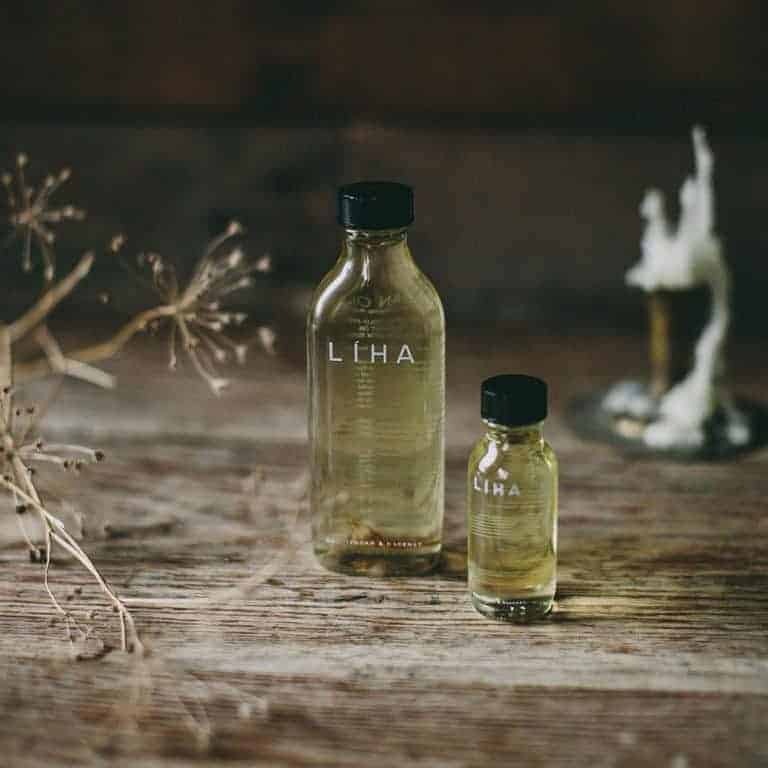 Multi-purpose beauty products don’t get much better than this Idan Oil by Liha Beauty. Made with natural cold-pressed coconut oil infused with a whole, fragrant tuberose flower, this can be used for everything from facial oil, hair conditioner, solid perfume and body moisturiser. The glass bottle is so lovely, it’s perfect for re-using for homemade massage/body oil afterwards. 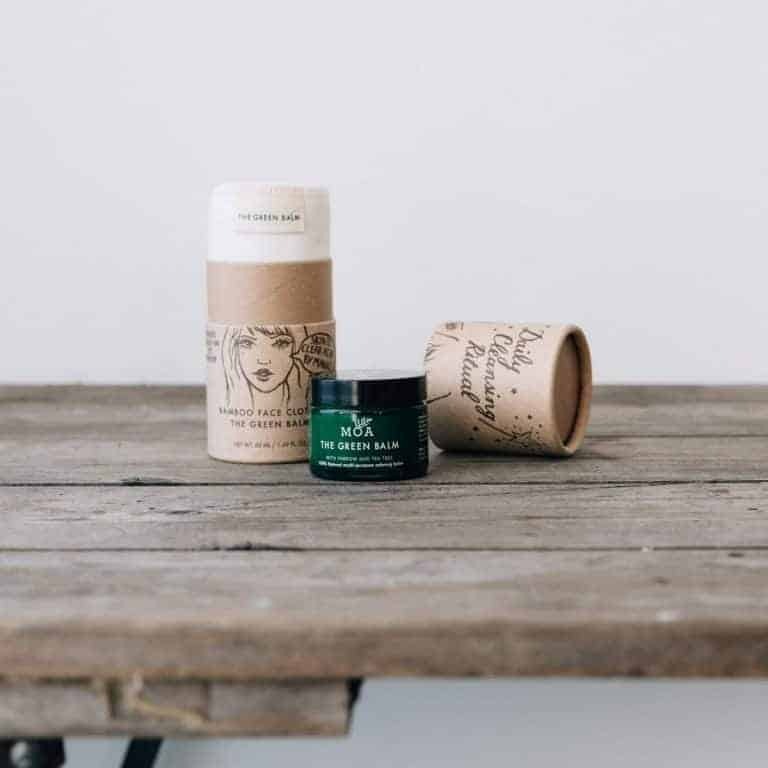 Naomi, founder of online shop These Two Hands loves this multi-purpose Argan Balm by Wild Sage & Co and says that because a little bit goes such a long way, one jar lasted her over six months. Formulated with lavender, geranium and deeply nutritious argan, this is a day, night and eye moisturiser, face mask, lip balm and nail cream in one. 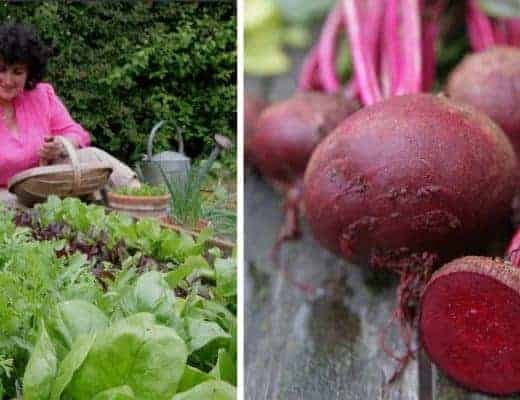 It’s also anti-inflammatory and healing as a remedy for bites, stings, sunburn and dry skin conditions. What more could you ask for from one lovely (plastic-free and zero waste) pot? The Future Kept is a great online shop for finding products made with care for the environment. Love this Roseum universal wash for face and body by La Eva. 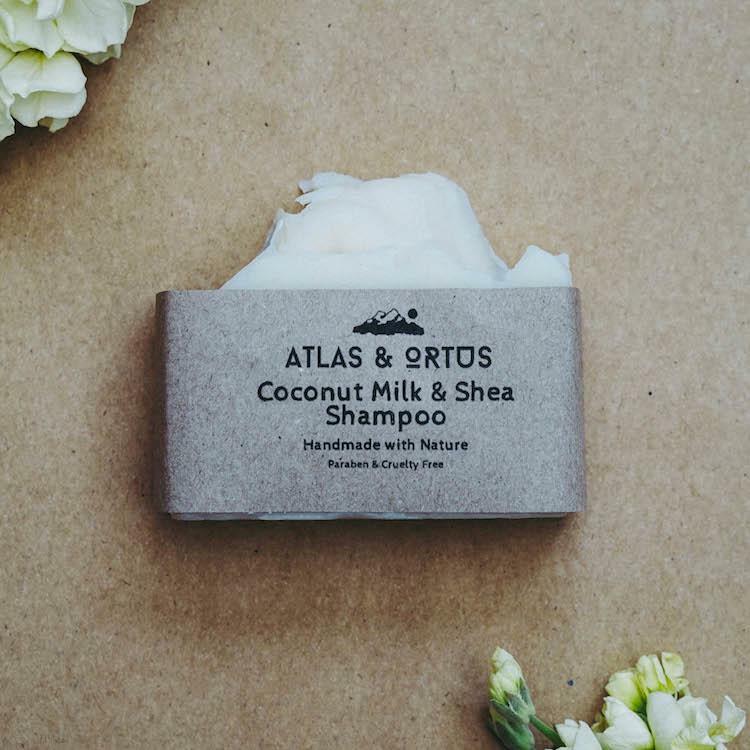 It’s formulated with gentle olive and coconut oils and made in Oxfordshire. La Eva are working on being able to refill and return bottles of their products soon, so I’ve signed signed up to their newsletter to make sure I know when they do. So, that’s my skin care taken care of (my husband just uses soap and water), but what about my two teenagers? Both are, I have to admit, users of the dreaded facial wipe. Last year the Marine Conservation Society recorded over 14 wet wipes were found per 100 metres of coastline, a rise of 700% over the last decade. Shockingly, by April this year, over 4,500 wet wipes were found on one 154 square metre patch of foreshore. Many wet wipes contain plastic and don’t break down and lots of them get flushed down the loo. Because they don’t break down, they clog up our pipes and sewers and this causes systems overflow and we get spills into our waterways and seas – meaning lots of other plastics get flushed into our environment too. Although the wipes my two use are NEVER flushed down the loo, they do still get chucked into the bin. So I wanted to find better, more eco-friendly alternatives to try. The Body Shop makes a biodegradable Tea Tree wipe that sounds perfect for teenage skin. I can’t see if the plastic packaging is recyclable but The Body Shop says its delivery packaging is 100% recyclable, so I’m going to order some of these to see what it says about recycling on the packs themselves. The fact that the wipes will break down, unlike standard ones is a step in the right direction at least. 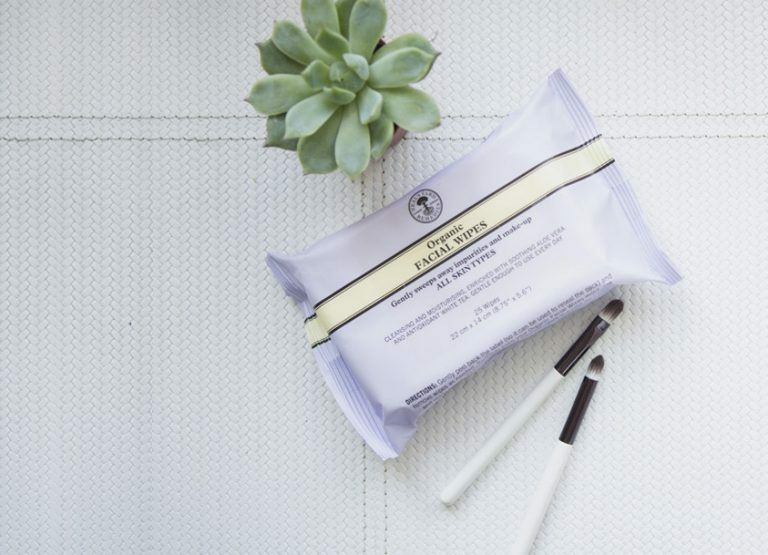 These Sustainable Beauty Wipes by Beauty Kitchen are compostable which is better than biodegradable but I can’t see if the plastic casing is recyclable or not… Available from Holland & Barrett, so, maybe worth checking out the packaging more in store. Neal’s Yard Organic Facial Wipes with soothing aloe vera and lavender are another good option. The wipes themselves can either be composted or recycled with textiles (once dry). The plastic packaging is recyclable. I’ve double-checked that my usual toothpaste doesn’t contain microbeads (you can use this app or check here to see if yours does). But the tube itself is not currently recycled by my local council, so I’ve found a couple of alternatives. 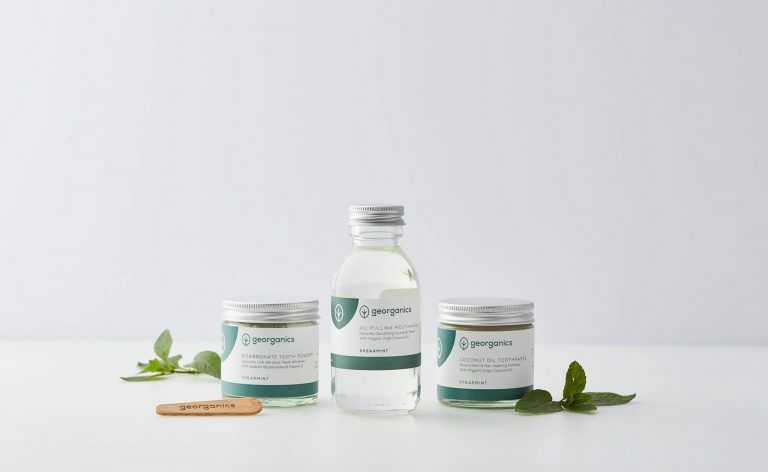 The first is this natural toothpaste range made by Georganics Zero-waste packaging: plastic-free jar, recyclable & biodegradable. Comes packaged in a reusable glass jar with compostable bamboo spatula. The box is made from compostable craft paper and vegetable ink. Georganics also make mouthwash and natural dental floss. 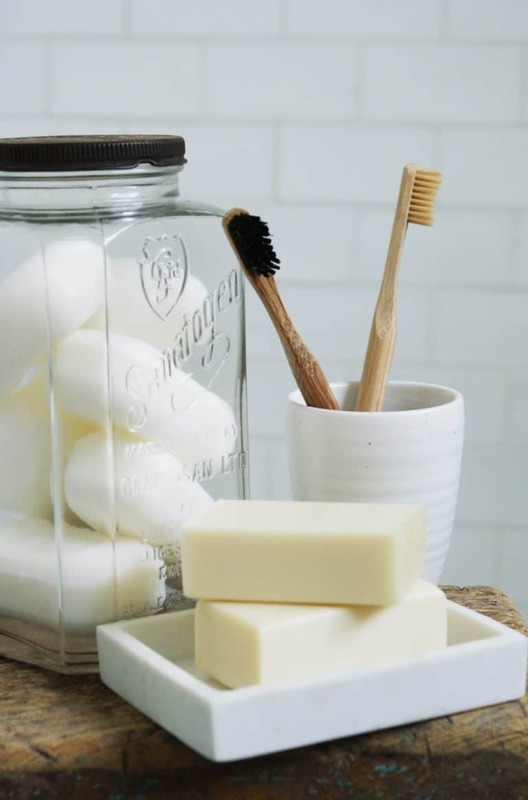 The Humble Co makes a natural toothpaste that has been developed by dentists and contains fluoride for its benefits in fighting tooth decay (many natural toothpastes don’t). The tubes are made from recycled materials. The Humble Co also makes bamboo toothbrushes with nylon-6 bristles which will degrade over time (its carbon footprint is comparable to wool). UK stockists include Boots, Waitrose, Superdrug, Holland & Barrett and Co op. Surprisingly the other option I found comes from Lush. It’s these tooth tabs and Tooth Fairy powder that are packaged in a recyclable glass bottle and recycled and recyclable tub. What’s disappointing is that this product used to come in a simple recyclable cardboard box. There are lots of customers asking Lush to go back to this on their website, so hopefully they might have a rethink. To be honest, I usually hurry past Lush shops on the high street because the overpowering scent gets right up my nose (literally). But actually, despite the dayglo colours and synthetic fragrances, Lush as a company scores quite well in the plastic free/zero waste area. I’m already a convert to bamboo toothbrushes. 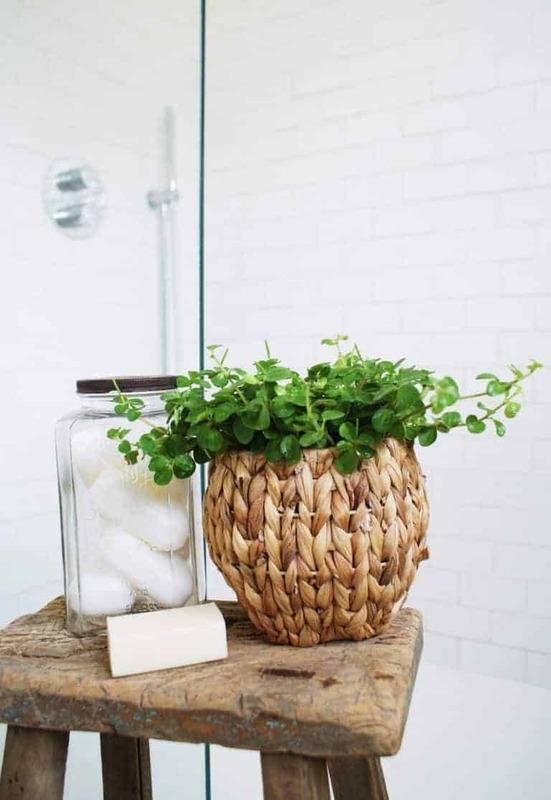 They are now pretty widely available and are a great eco-friendly option, as bamboo is the fastest growing plant on earth, incredibly abundant and re-generates itself naturally. It will also compost down after use. The only downside to these brushes is that you have to remove the bristles with pliers if you want to compost the bamboo part. The bristles tend to be made from nylon, which is free from BPA and recyclable. Plastic toothbrushes make their way to our oceans in monstrously large numbers. 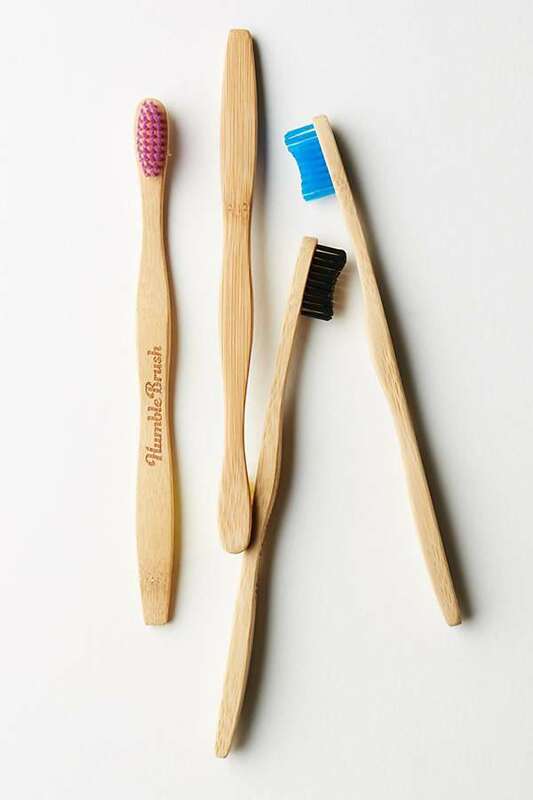 For Natalie Fee, founder of plastic pollution campaign group City To Sea, seeing the environmental impact of plastic toothbrushes on wildlife first hand was enough to encourage a full-on switch to bamboo. I am going to be chatting with Natalie over on the blog soon, so watch this space. In the meantime, here’s her inspirational TED talk all about plastic waste and what it’s doing to our oceans and how she managed to get our supermarkets to move from plastic to cardboard cotton buds. Looking into the packaging of my usual toothpaste led me to find out more about some of the symbols used around recycling. There was a circular symbol with black and white arrows (known as the green dot, apparently) on my toothpaste tube that I felt should mean it was recyclable in some way. Wrong. It just means that the company who makes it has contributed financially to a plastic recovery and recycling scheme that runs in some European Countries (not the UK). It has nothing whatsoever to do with the packaging or item it’s printed on. Which smacks of trickery to me. Toothpaste tubes are generally made of plastic-coated aluminium that can’t be recycled. There are other symbols like this too, I discovered. Find out more about these symbols and what they really mean here. I think you might be surprised! In case it was just me being a bit dense about the green dot symbol in particular, I’ve asked a few of my friends and none of them knew what it meant either. All of them thought it meant there was some link with recyclability. The more I look into this, the more I feel that it must be made much, much simpler to recycle what we use. Labelling needs to be more transparent. Recycling needs to be so simple that everyone does it. And non-recyclable plastic just has to stop, surely? Now I’m really looking out for it, I’m shocked at how much of it there is. 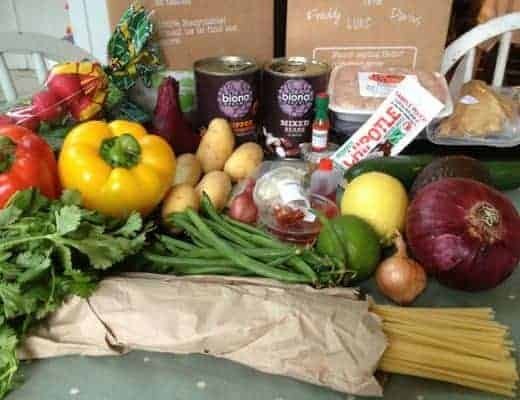 Shop in any supermarket for fruit, veg and salad, even organic varieties, and it’s almost impossible to avoid packaging without the ‘not currently recycled’ label. I’m just not going to support this any more, no matter how inconvenient. Mixed plastics is another minefield. My local council – East Hampshire – offers kerbside recycling for recyclable plastics number 1 and 2. They don’t collect any of the other numbers, and a browse of their website revealed that they don’t recycle it because the machinery they’d need to be able to do this is too expensive. So I contacted them to ask if they had any plans to change this, and where I might be able to recycle mixed plastics locally in the meantime. I was directed to the same page on their website explaining why they don’t collect it. Next, I searched online to try and find collection points locally, but got nowhere. I drove to my local recycling facility as well as nearest Waitrose and Tesco car parks, but no luck there either. I happened to be driving past my nearest Sainsbury’s (about 6 miles away) so I thought I’d check – and got very excited to discover that they had three mixed plastic recycling bins! I could finally empty the bag of mixed plastic recycling I’d been carting around in my boot. It shouldn’t be this hard, should it? Deodorant is another key player in the plastic waste problem. So I’ve been looking for plastic-free natural options. 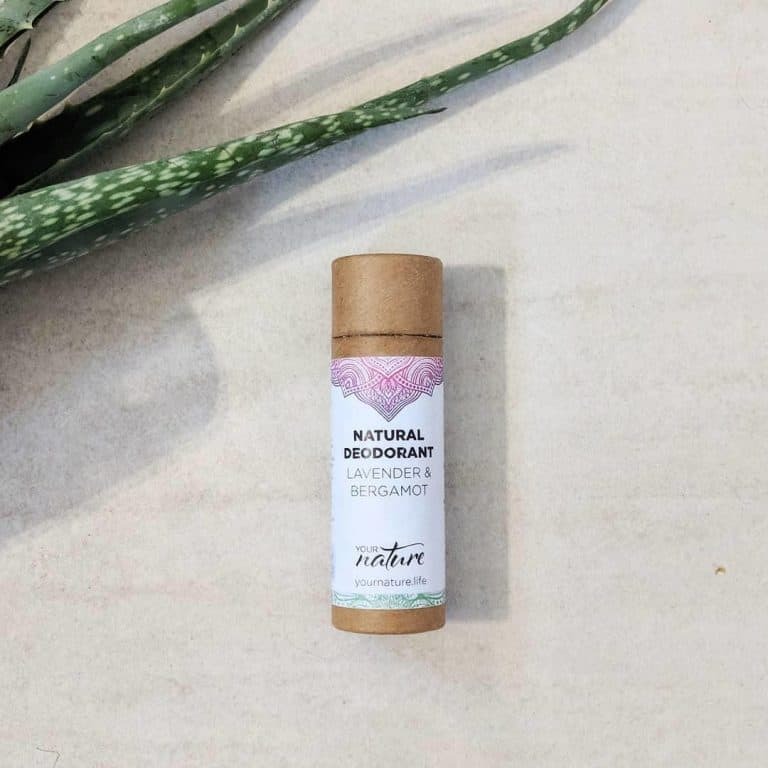 I like the sound of this Lavender & Bergamot deodorant stick by Your Nature from Wearth London. Hand-crafted in Bristol using natural essential oils it’s plastic free (including delivery packaging), so a great zero waste alternative! 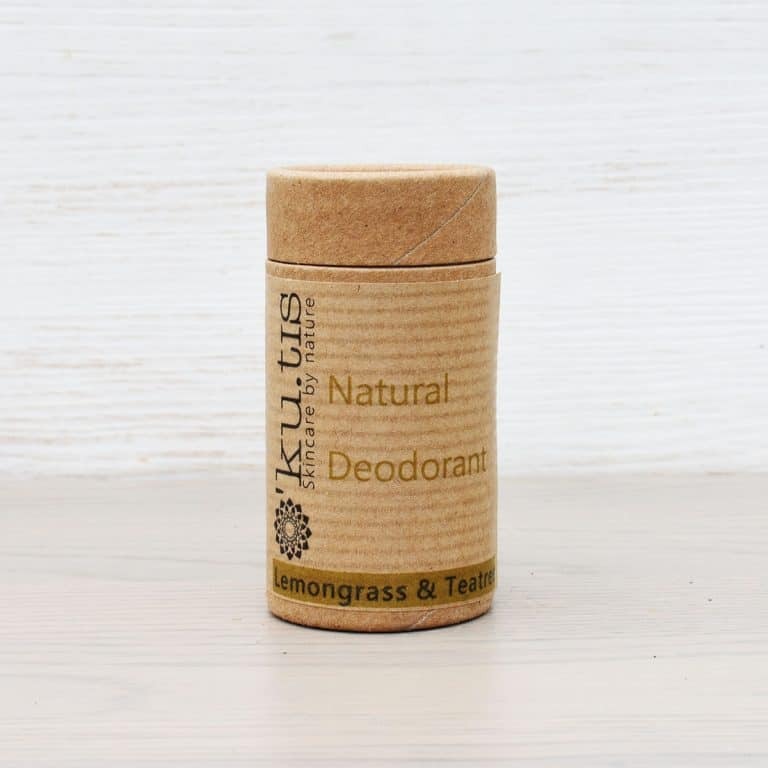 This lemongrass and tea tree natural deodorant is handmade in Wales by Kutis and is also plastic free, biodegradable and recyclable. I am using Neal’s Yard natural deodorant with glass bottle and recyclable plastic top but I’d prefer to go plastic free so I’ll be switching when it’s finished. I do already buy recycled loo roll but I wish that it didn’t come wrapped in single-use plastic. The irony of this is really quite staggering when you think about it. Who Gives a Crap is a way of buying 100% forest friendly bamboo loo roll, in bulk and without the plastic. Better still, a share of profits made goes to improve sanitation for poorer countries. Check out Who Gives a Crap here. I’ve just placed my first bulk order, so I can share a discount code with you to save £5 on your first order (if over £36). 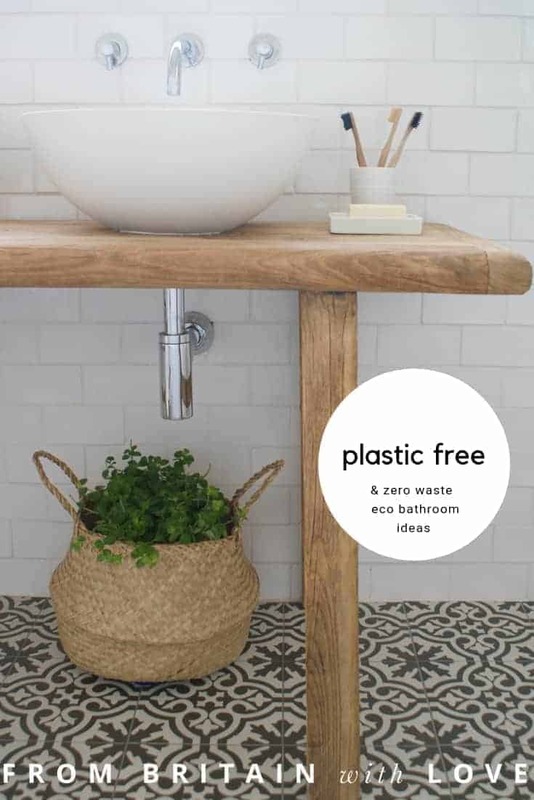 Other eco loo roll brands worth checking out are Green Cane who sell a box of Naked toilet paper made from recycled sugar cane and fast-renewable bamboo and free from all plastics. Ecoleaf toilet paper is made from 100% recycled paper and the packaging is compostable. Since starting to write this, I have already started to receive some of my orders and am feeling quite excited. I’ve never owned so much toilet paper for one thing! But it feels good to be doing something. Challenging complacency, raising my game, reducing our waste. The bathroom has a plan, at least. Now I’m going to get onto laundry, kitchen and the garden and will keep you posted. I agree wholeheartedly with the quote that gets used a lot: ‘Be the change you wish to see in the world’. But I do feel a responsibility to do more than just putting my own house in order and hoping for the best beyond that. I want to find other ways to help sort out the mess we’ve made. In fact, for Gandhi, the struggle to bring about a better world involved not only stringent self-denial and rigorous adherence to the philosophy of nonviolence; it also involved a steady awareness that one person, alone, can’t change anything, an awareness that unjust authority can be overturned only by great numbers of people working together with discipline and persistence. 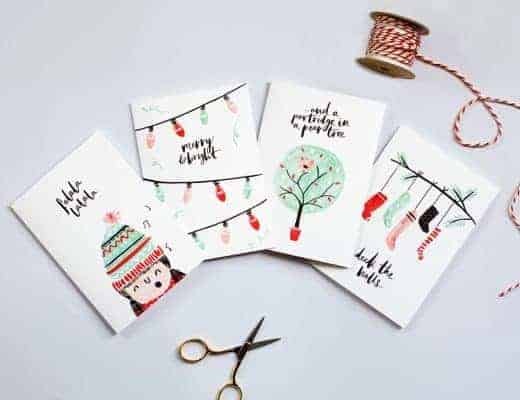 Thinking about this brought to mind the lovely Sarah Corbett, founder of The Craftivist Collective, dedicated to improving the world through gentle protest. I shared an inspiring coffee with Sarah earlier in the year (read more about it here) and left feeling sure that she’s really on to something. This podcast of Sarah in conversation with Charlie Moores of Lush is a great introduction to the concept of Craftivism – essentially a gentle protest approach to activism through craft, and aims to change the world with deliberate, thoughtful actions that provoke reflection and respectful conversation. 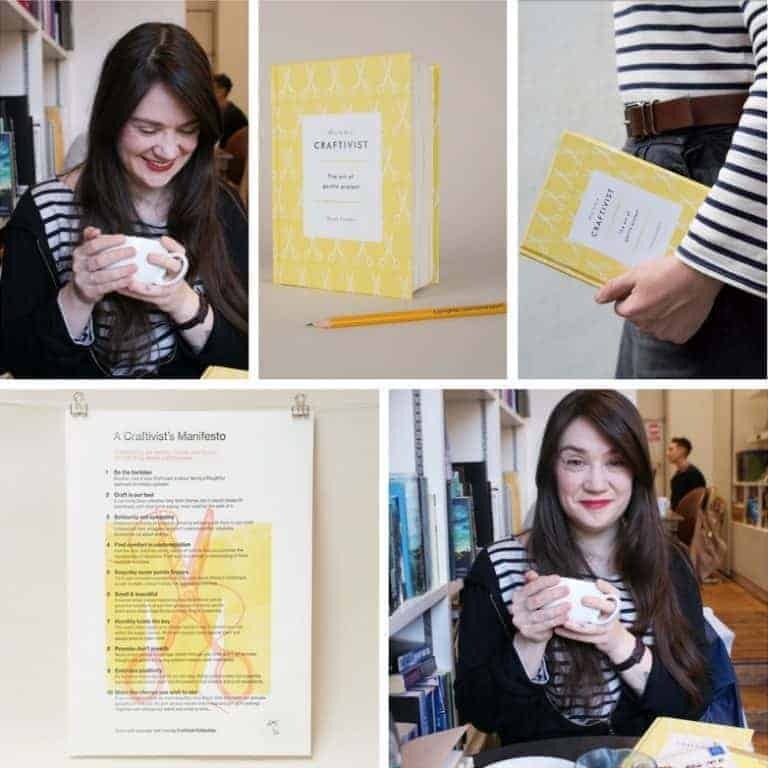 If, like me, you’re an introvert by nature, and maybe of a crafty persuasion, why don’t you check out the concept of Craftivism and see if it feels right for you? 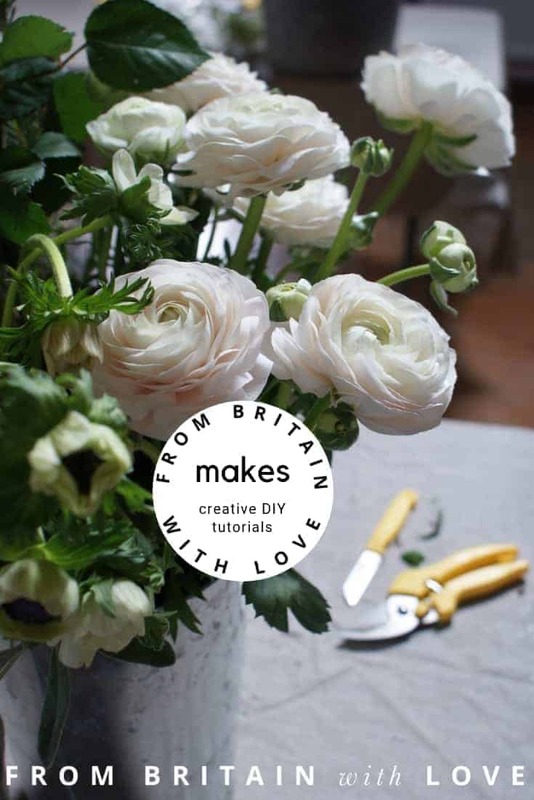 Sarah’s Footprint kit is a great starting point and I love this little film where she explains why..
I’m mulling over ideas to get together with creatives wanting to find a collective voice for change. If you think you might like to be involved, do let me know! I’ll keep you posted. So far, these are the best existing ideas I’ve found for getting involved and helping to make a change. I’d love to hear your ideas too and will add them in here. 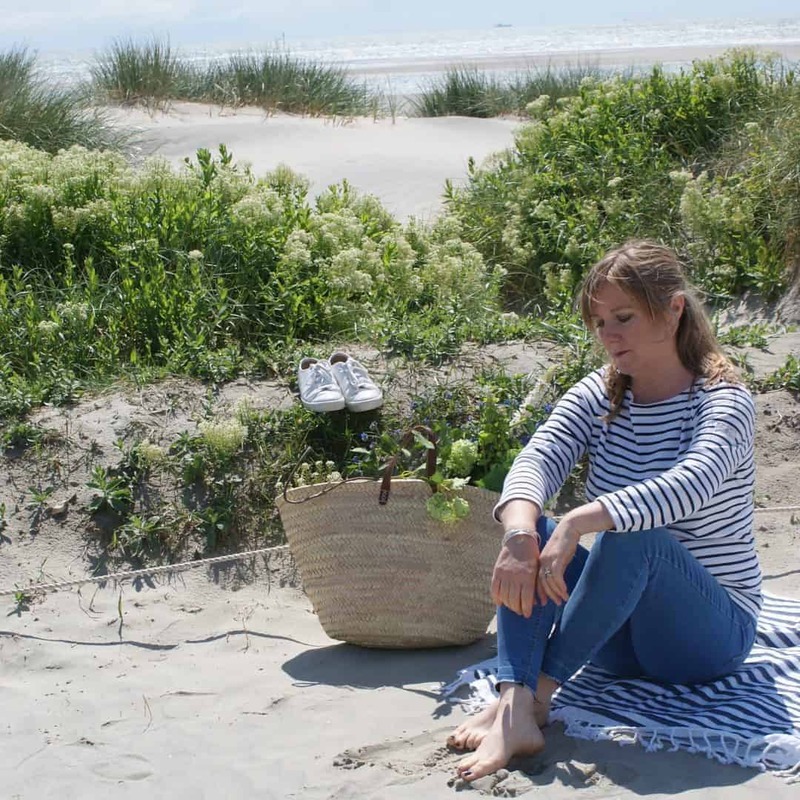 Guardian and Observer journalist and TV presenter Lucy Siegle’s book Turning the Tide on Plastic is an impassioned and highly practical account of how to reduce our plastic consumption. Lucy has been writing and campaigning on eco issues including plastic and waste for more than a decade. In her book, she shares practical ways for us to make our planet clean again. If just 12 of us follow her plan, we could ditch 15,000 single items of plastic a year. Join the Marine Conservation Society to help them campaign and lobby for changes including a ban on single use plastic. At the moment you can join and get 6 months membership free. Plastics in Action is an initiative by the BBC in collaboration with the Open University. Sign up to reduce your plastic footprint in 5 key areas or create your own plastic action.